Livingstone International currently operates from 2 facilities in Sydney, totaling 16,800 square metres; Rosebery with 10,000 square metres and Turrella with 6,800 square metres. We also have an office in Melbourne. Currently, Livingstone International has in excess of 70,000 items in stock. Warehouse facilities in Rosebery and Turrella have the capacity to deliver in excess of 1000 orders per day. 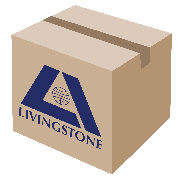 Livingstone also has warehouses in Victoria, South Australia and Western Australia, which speeds up delivery times. At Livingstone International we value our customers. Our priority is developing customer relations and serving needs of our customers. We pride ourselves on being a one-stop-shop to fulfill all needs of all our customers. Listening to our customers needs allows us to live up to our promise of delivering the right goods, at the right time and the right place for the customer. Learning more about your business enables us to build a level of trust that reassures our customers, and this enables our customer relationships and customer friendships to grow.